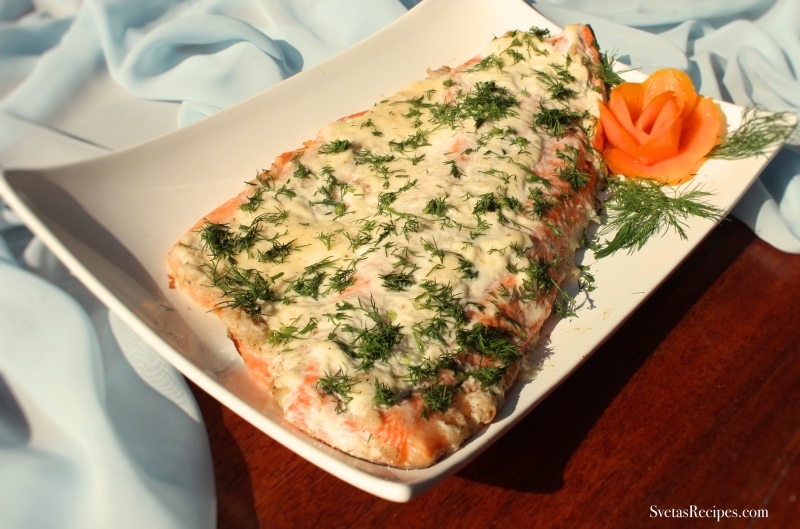 This Baked Salmon Recipe goes along great with other dishes. I really recommend trying it if your into seafood. It also only takes 17 minutes to make! 1.) First, wash, dry and place it on a baking pan that lightly sprayed tin foil with cooking spray. After add seasoning, shredded onions and use a spatula to spread your mixture. 2.) 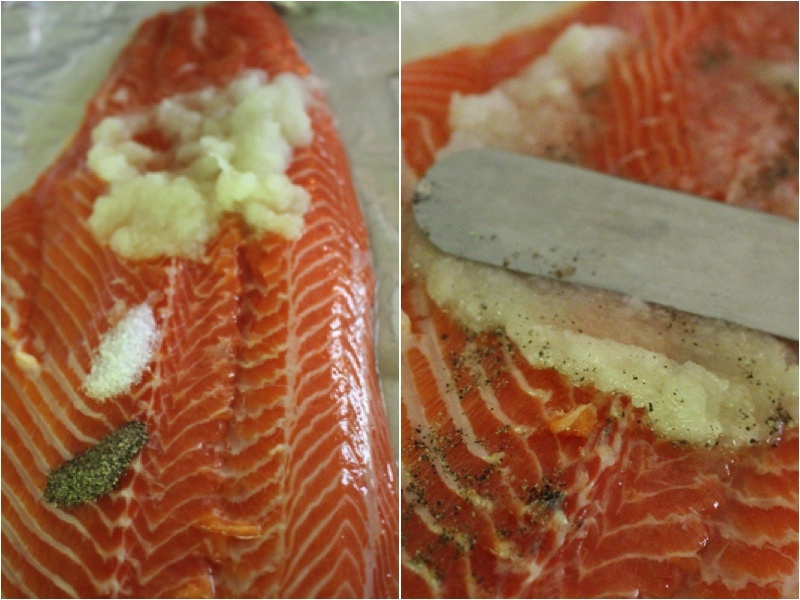 Last but not least spread your mayonnaise using a spatula onto your whole salmon fish and bake for 17 minutes on 350F. (Make sure your salmon gets baked without the tin foil covering it.) After place it on a serving dish, add dills and enjoy your homemade Baked Salmon. First, wash, dry and place it on a baking pan that lightly sprayed tin foil with cooking spray. After add seasoning, shredded onions and use a spatula to spread your mixture. 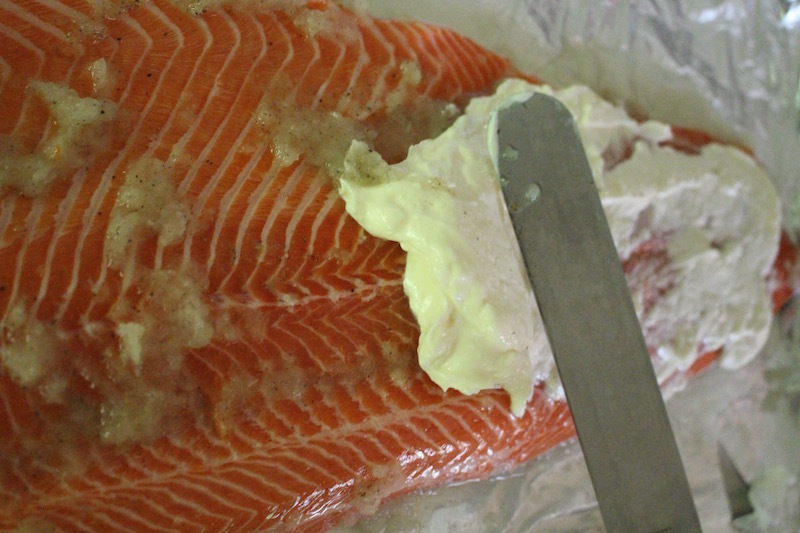 Last but not least spread your mayonnaise using a spatula onto your whole salmon fish and bake for 17 minutes on 350F. (Make sure your salmon gets baked without the tin foil covering it.) 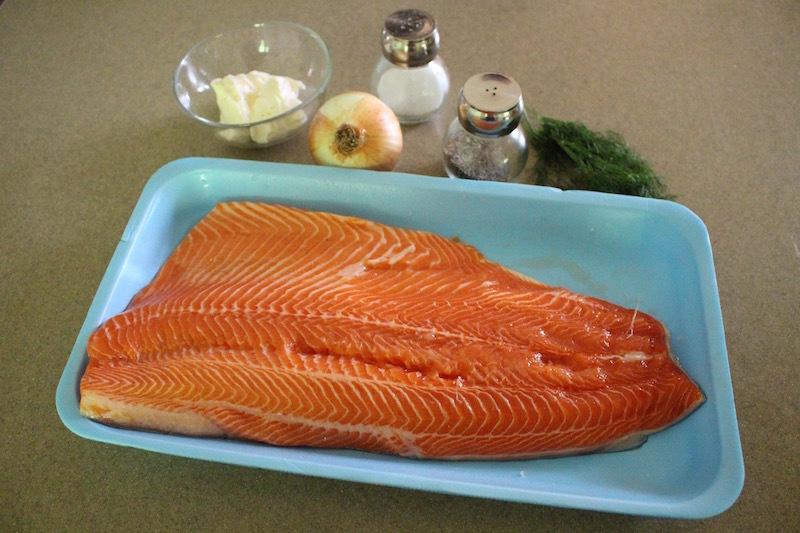 After place it on a serving dish, add dills and enjoy your homemade Baked Salmon.